The AIM-120 Advanced Medium-Range Air-to-Air Missile, or AMRAAM (pronounced amm-RAM), is a modern American beyond-visual-range air-to-air missile (BVRAAM) capable of all-weather day-and-night operations. Designed with a 7-inch diameter form-and-fit factor, and employing active transmit-receive radar guidance instead of semi-active receive-only radar guidance, it has the advantage of being a fire-and-forget weapon when compared to the previous generation Sparrow missiles. When an AMRAAM missile is launched, NATO pilots use the brevity code Fox Three. 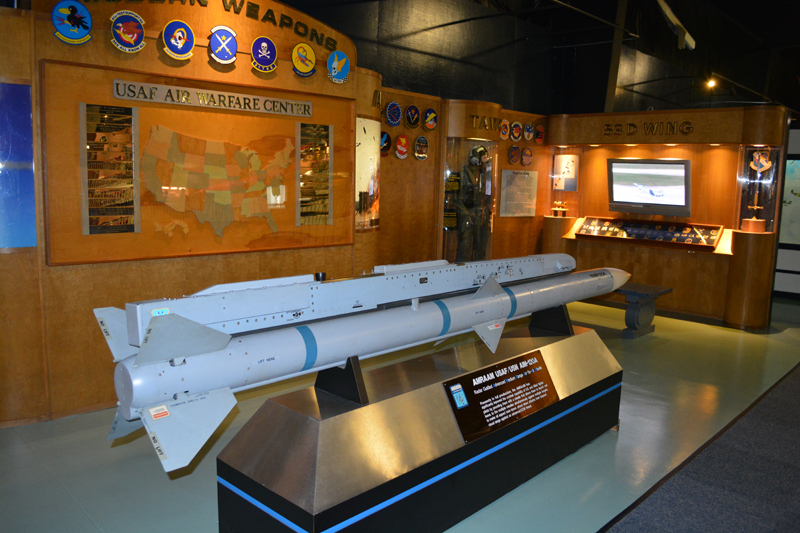 The AMRAAM is the world's most popular beyond-visual-range missile, and more than 14,000 have been produced for the USAF, the USN, and 33 international customers. The AMRAAM has been used in several engagements and is credited with ten air-to-air kills. Detonation mechanism Active RADAR Target Detection Device (TDD) Quadrant Target Detection Device (QTDD) in AIM-120C-6 – lots 13+.